I’m possibly the worst baker but I really want to get better because there is nothing nicer than enjoying home-baked treats, it also makes your house smell incredible. So I told myself that 2017 was the year I would put my recipe books to good use and get busy in the kitchen learning to bake some delicious sweet treats. I always enjoy banana bread and it has to be one of the easiest recipes to master, so it is a good place to start. We can also convince ourselves it is somewhat healthy as it contains banana’s …… right? 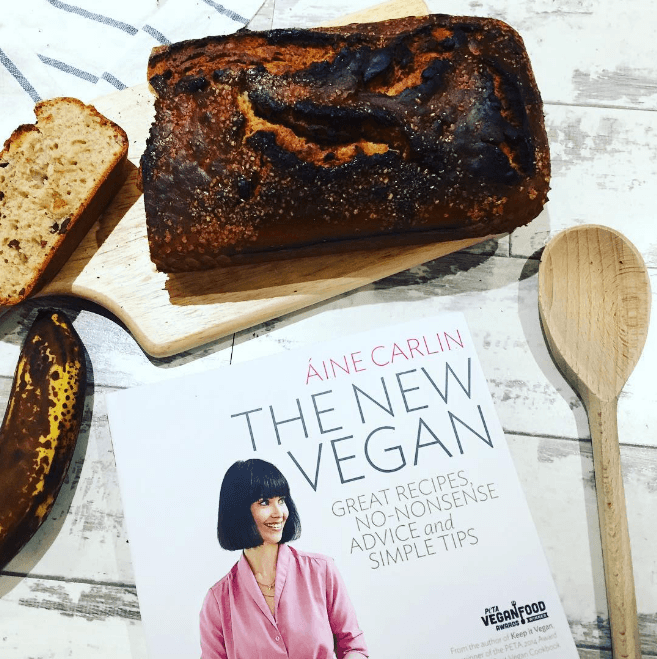 I have two recipes that I go back and forth between which are my good friend Hayley’s Recipe and Aine Carlin from The New Vegan – I’ve taken my favourite bits from them both and created my version of a delicious banana bread. First off preheat your oven to 180 /Gas mark 4. Transfer mixture into your loaf tin and bake in the oven for about 45 minutes. Leave to cool in the tin for a few minutes then turn out onto a wire rack & enjoy with a lovely cup of tea. Let me know what extras you like to add to your banana bread.